Just back from a week in Iceland. 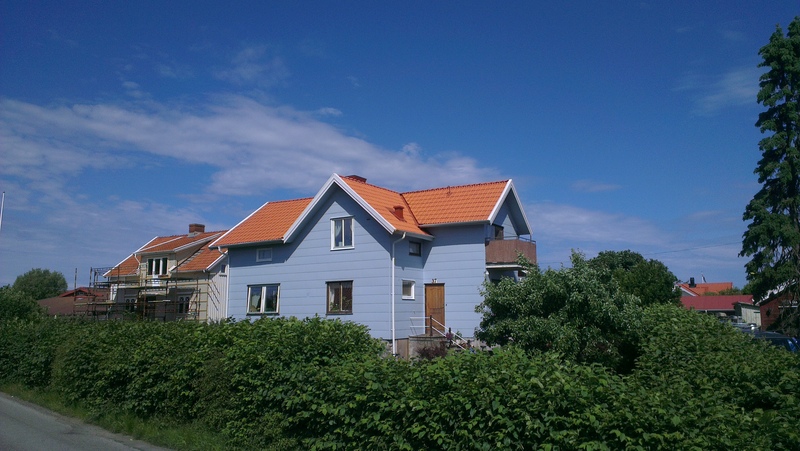 Both me and the children came to the same conclusion, Iceland has amazing landscape but hey Hönö is the best no contest. 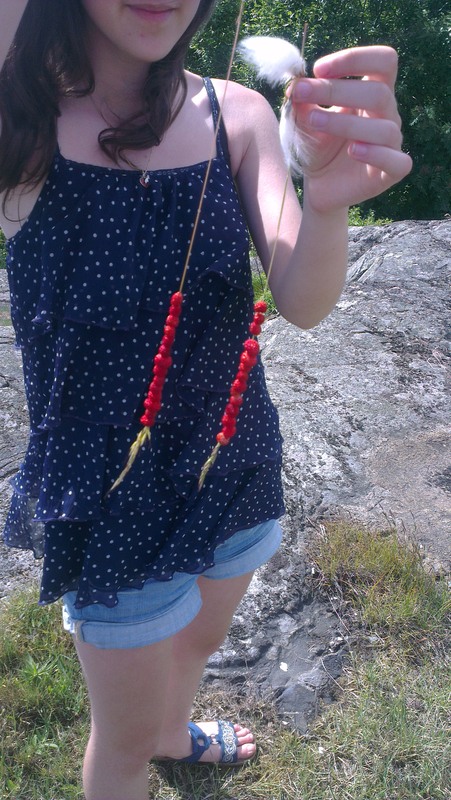 Yesterday we had a very traditional Midsummer eve celebrated with lovely food, board games and midnight swim. We went to see people dancing to the frog song around the Midsummer phallic pole and made head wreaths out of flowers from the garden. 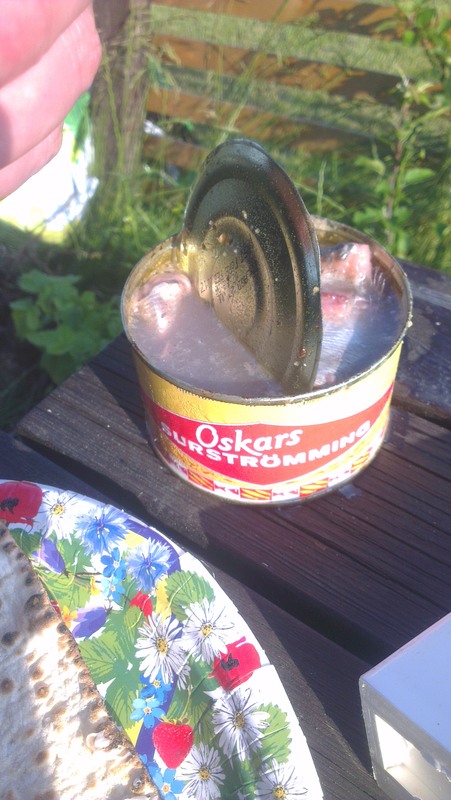 I bullied my husband and guests into trying the Surströmming that I bought two years ago. It is really a Northern tradition, eaten on crispy bread with boiled potatoes, sourcream and red onion. 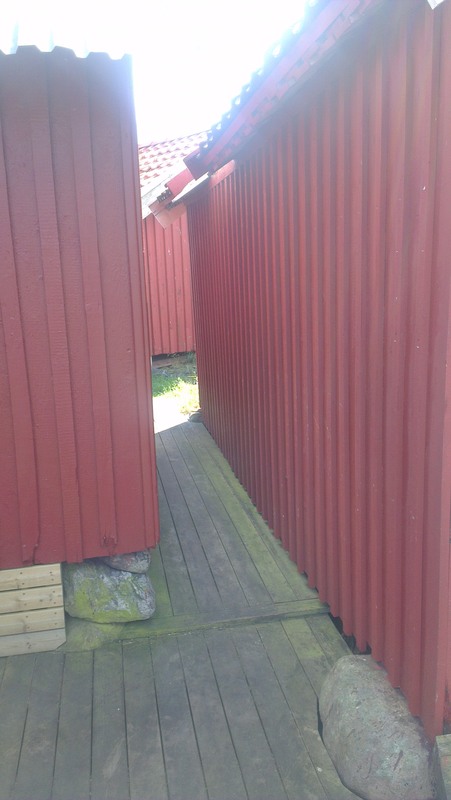 It is fermented herring and known for it’s very vile stench which forces you to open it outside while making sure not standing too close or you might be sprayed with fermented herring gunk. Some people say it tastes like a very mature cheese and last time I tried it I could have agreed but this time it was just truly disgusting! Today has been a day of rest. 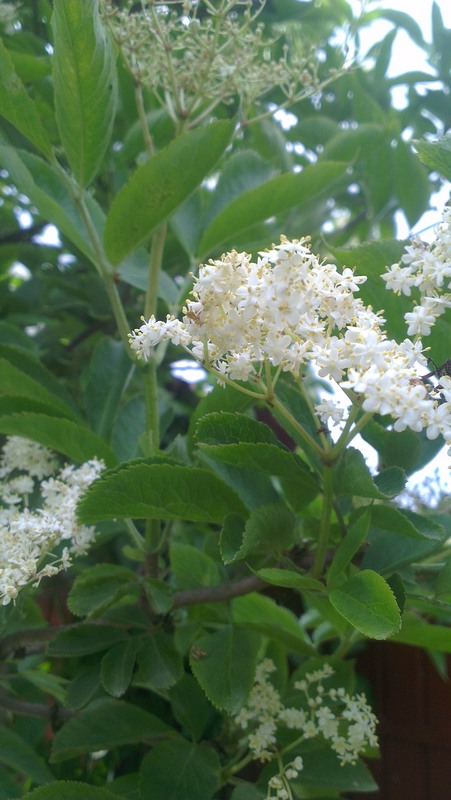 My only project for the day was making elderflower cordial, luckily it is so easy it takes no effort! The flowers are almost gone so it was in the nick of time. The recipe called for 40 flowers, I lost count but filled a bucket, boiled water, sugar and poured it over the flowers with lime and lemon. Leave for 3 days and then sieve and bottle. The garden has gone crazy, only being away for a few days(luckily it rained a lot so my husband didn’t have to do his watering duty every day). There are tonnes of cherries ripening, red and black currants and my quince tree is full of fruit! 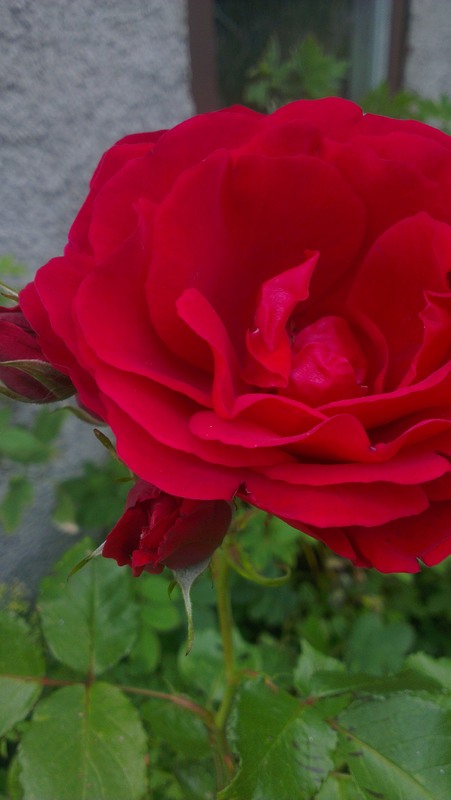 Despite saying I would put extra effort into the roses I have been neglecting them but they are coming on great anyways. 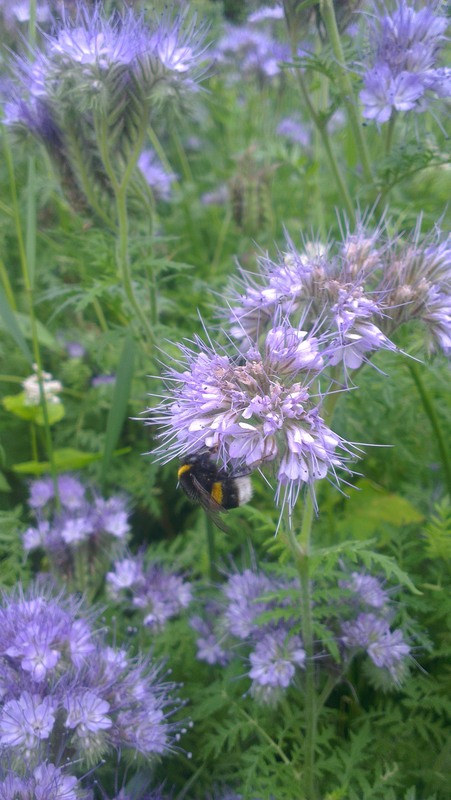 The flowers I planted in the veg patch to help germinate the soil are stunning and there are so many bees and bumble bees. It’s like a chorus of buzzing, maybe that’s why there are so many berries this year? After finally conquering my fears and finishing painting the house I’ve had a hard time slowing down to relax. Today is Sunday and even though we’re not believers I do try to live with Sunday being a day for rest. When my grandmother lived here she would never let us cut the lawn on a Sunday and there are still a lot of people who think the same way. I think it’s nice to have one day in the week where no lawnmowers or builders are making a noise. 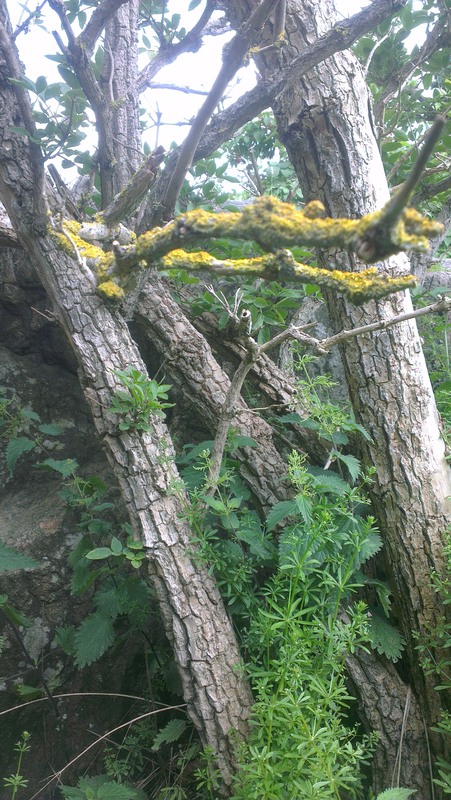 It’s not so easy though when you have loads of stuff waiting to be done, like the hedge being cut etc. So after feeling restless all day I took my daughter for a walk. 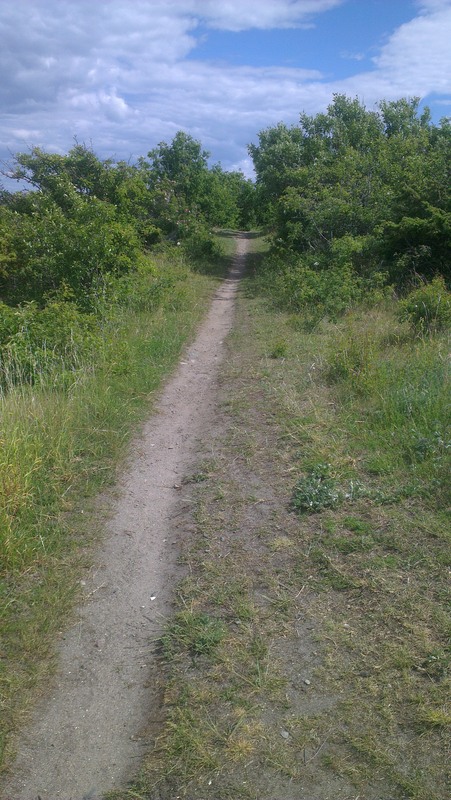 We chose little roads between the houses where we rarely go and ended up down the harbour choosing a trail that I’ve never been up. 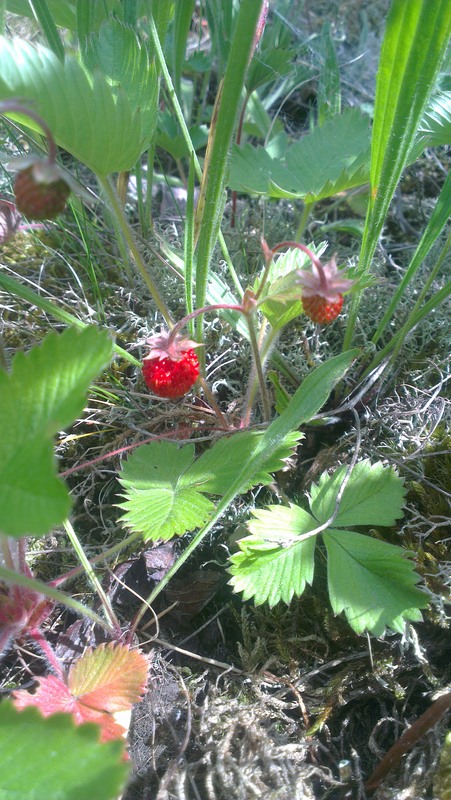 We found some wild strawberries, my daughter saying what a shame we didn’t bring anything to put them in and I said when we were kids we used grass straws. Wow what a pleasure to see a child lit up with joy over something that is so obvious to me! She firmly decided that we weren’t leaving before the straw was full. After an hour we had four straws full with little berries. What a very happy proud girl! Perfect start of the summer holidays and for me the start of a two week holiday. 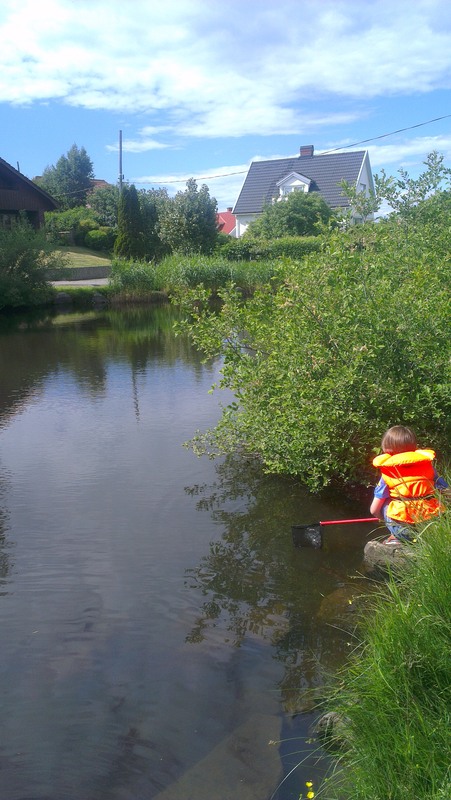 On our way back we walked past a pond with some kids dressed in life jackets fishing in the pond. 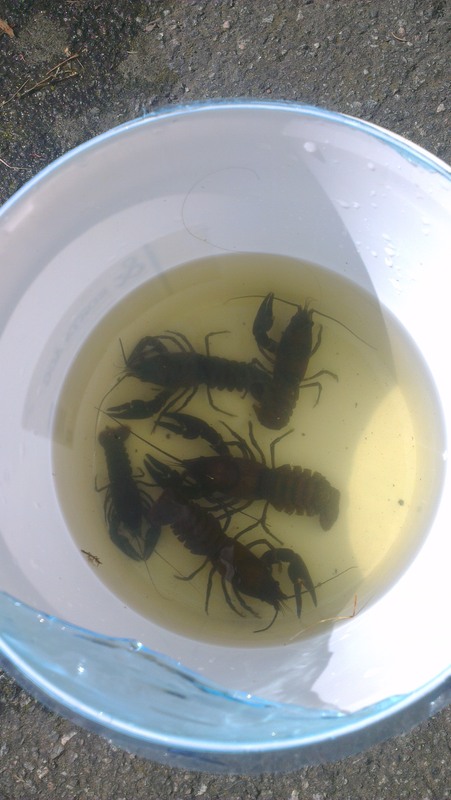 A mum filled us in with information and after a few minutes there where crayfish in the bucket! 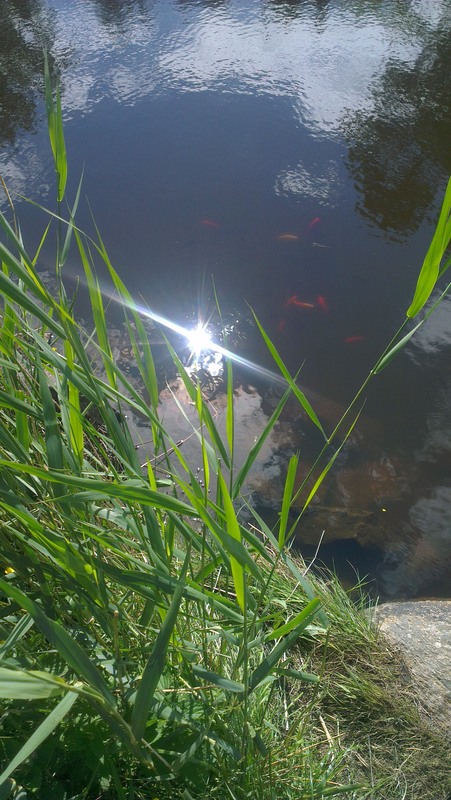 Apparently someone has planted them in the pond along with some red and yellow fish. The kids feed them bread, fish them up and let them back in every day. Tomorrow we will head out to my favourite place where we went as kids, for more berries and adventures.